Justin Quinn's article on the Timelord brings to mind the Celtics 1987-88 season. Rookie Reggie Lewis, taken with the 22nd pick in the draft, was only getting 8.3 minutes per game from coach K. C. Jones. Rob Williams is getting half of that time from Brad Stevens. Reggie was very good, and consistent, on the floor for very-limited minutes. So is Rob. Lewis would come in off the bench - play his heart out - outfight opponents for rebounds - hustle - drive the baseline for spectacular jams. Then K. C. would pull him. I always asked why. Jones just hated to play rookies. Reggie averaged 4.5 PPG and 1.3 RPG in his first season. And he made few mistakes. Then a coaching change happened. Jimmy Rodgers was the 1888-89 coach, and Reggie was playing 33 minutes/game and averaging 18.5 PPG, 4.7 RPG, 2.7 APG and 1.5 SPG. He was thriving with a large minutes increase. I am sure Brad Stevens has his own reasons for not at least getting Williams more time simply as an experiment. In extremely-limited minutes, he hasn't missed a shot or created a turnover. Granted, he could be a bust with more minutes, but how do we know. 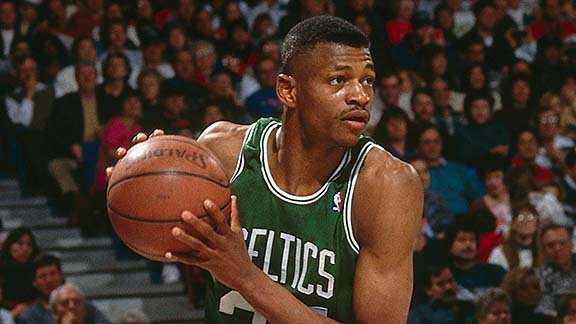 Reggie Lewis turned out to be far from a bust, and we found that out with a new coach coming in and an injury to Larry Bird. Most of our readers are vehement about Rob seeing more playing time. So in Justin's words, release the TIMELORD. You can vote in the twitter poll below or send in your comments. Celtics Rookie Rob TIMELORD Williams is seeing very limited minutes. Is it time to unleash the TIMELORD?